Prepare safety objectives and targets along with plant project team and take approval from top management. Define Safety Golden Rules, which should be followed by everybody inside the factory premises. Prepare implementation plan of safety golden rules and work along with site team for implementation of the same within target time frame. Identify legal compliance requirement and gap analysis. Preparation of JSA (Job Safety Analysis) and reporting. Verification of lifting & supporting tools and loads. Weekly Safety field audits and reporting with the scope of improvement. 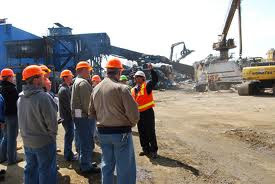 Safety Observation Tours on daily basis. Preparing safety operating procedures for various jobs and implementation of the same. Monitoring, measurement & record management. Preparation of safety performance indices and analysis and reporting. Posting best job vacancy. Thank you.